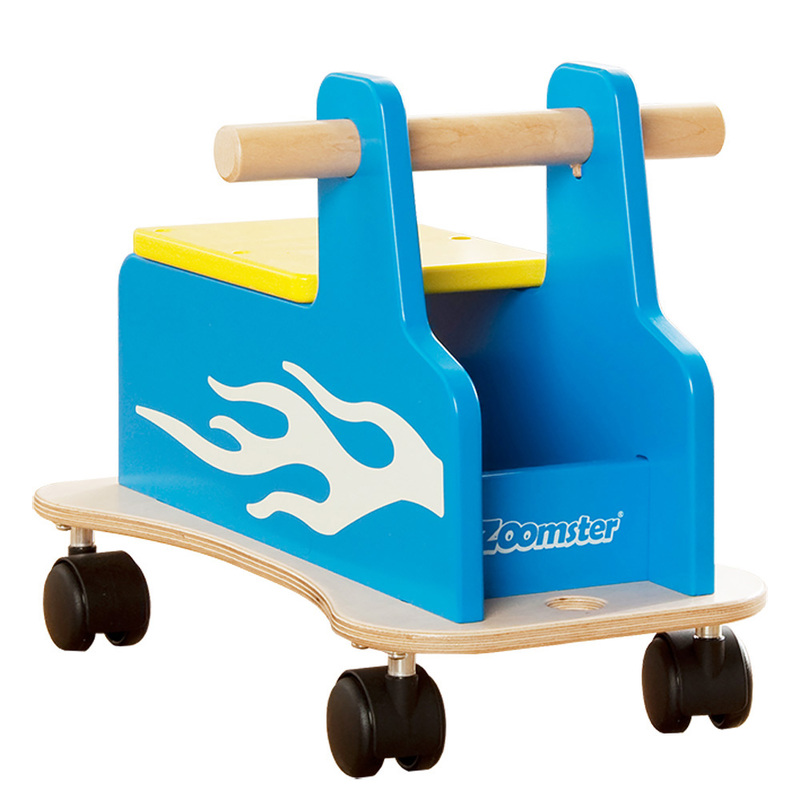 The multi award winning Zoomsters feature durable multi-directional castors that allow them to move in all directions with minimum effort. 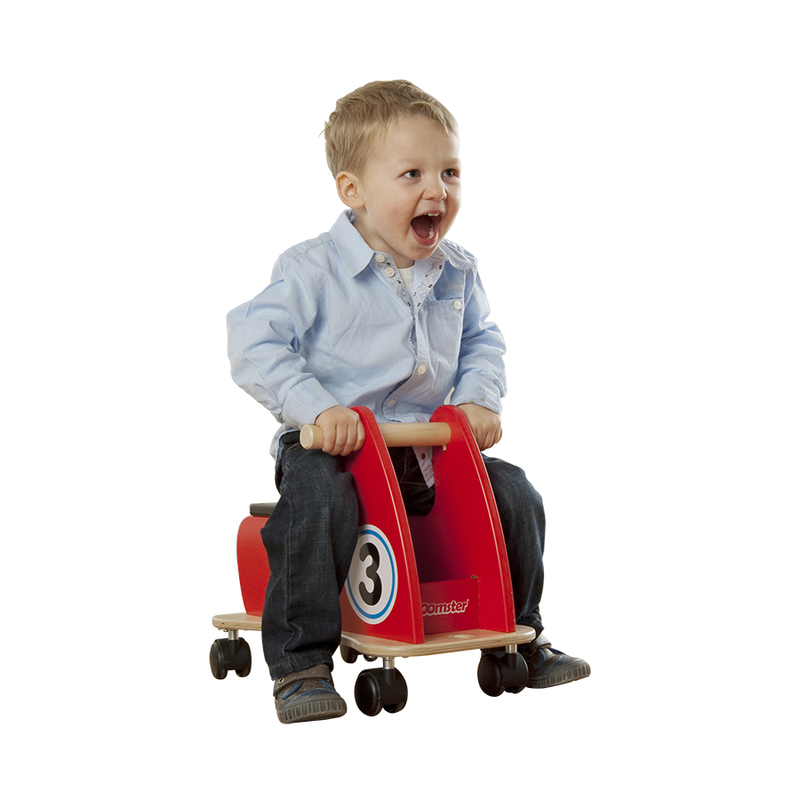 They have chunky, easy-grip handle bars and a comfy seat that is the ideal height for children between 18 months and 3 years of age. 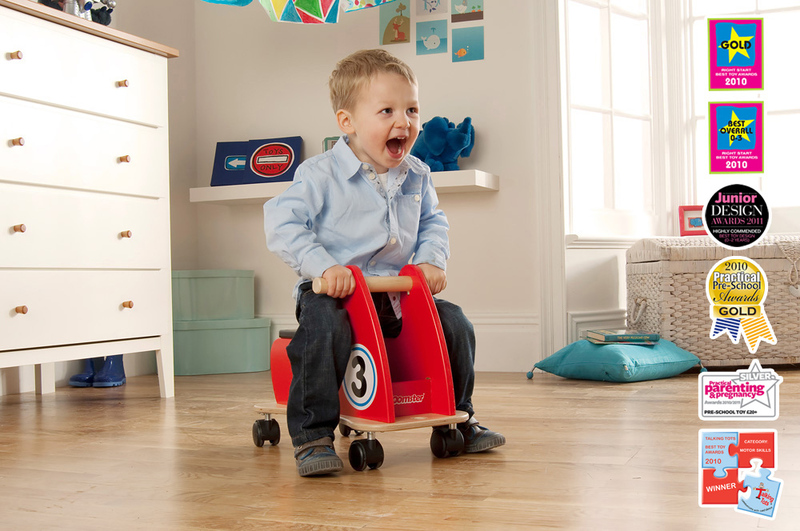 All Zoomsters feature a useful storage space under the seat, allowing children to carry their favourite toys and books as they play with the Zoomster. 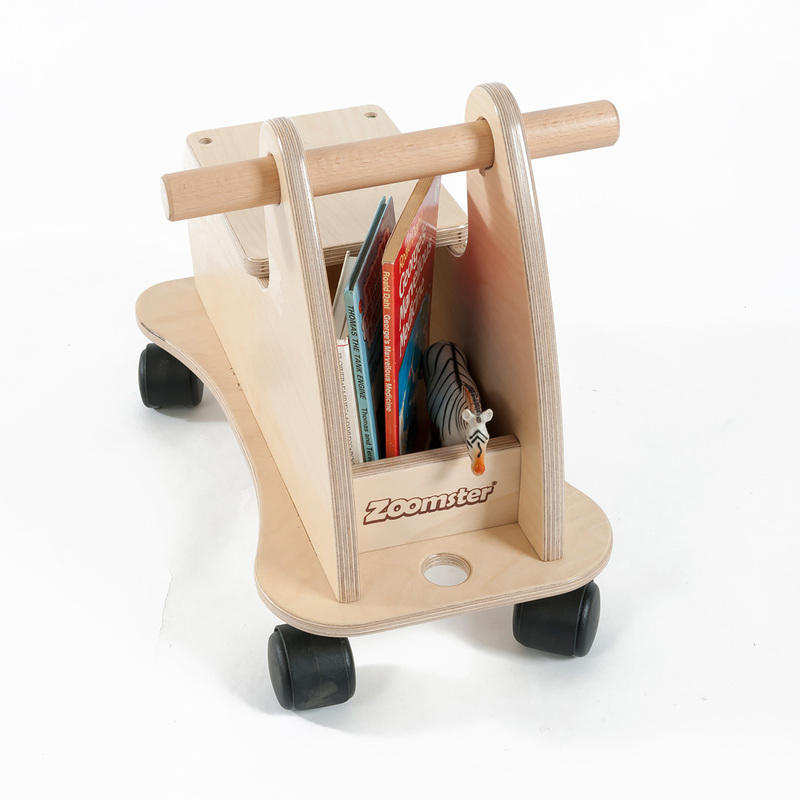 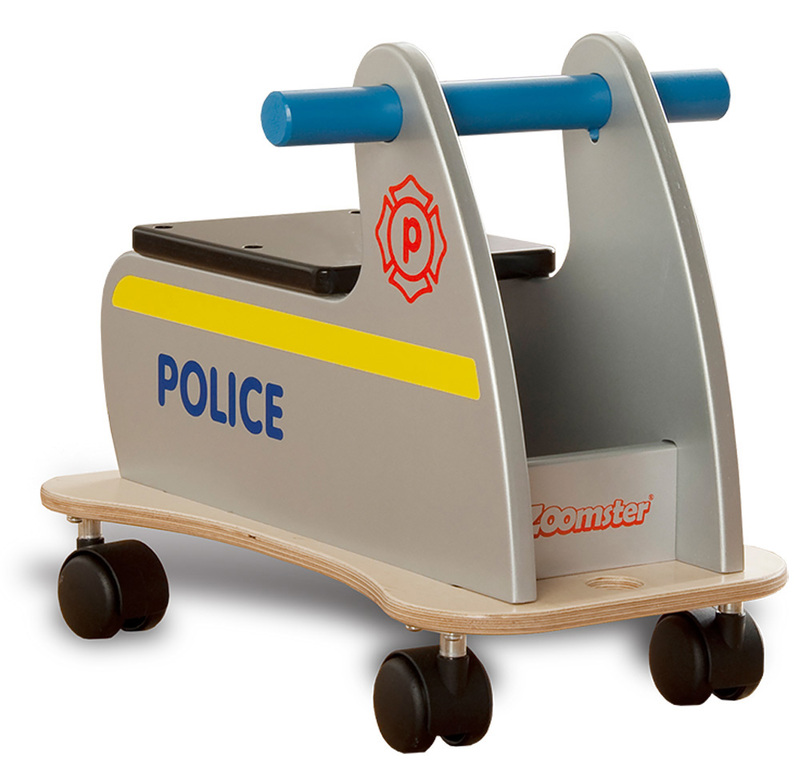 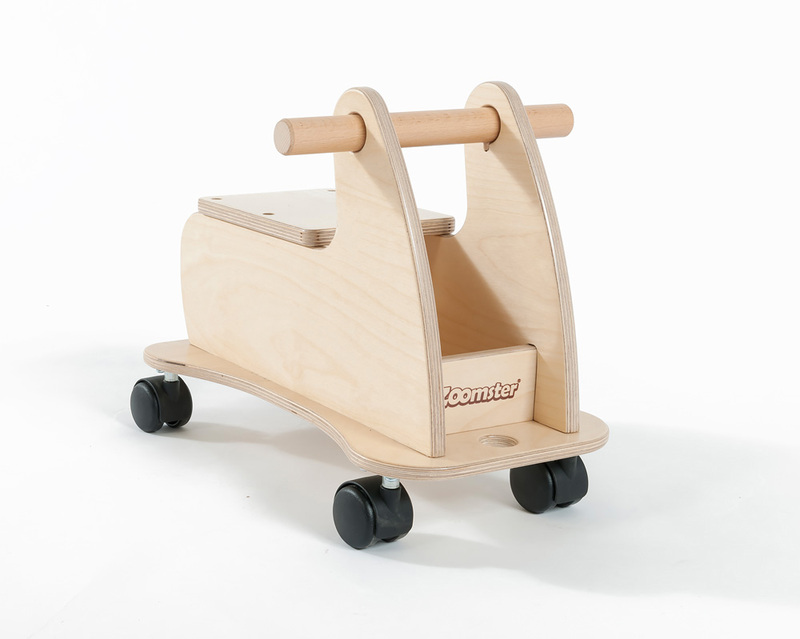 Manufactured sustainably in the UK using durable birch plywood and available in either a natural wood colour or hand painted with child friendly paint in five designs - police care, fire engine, bunny, racer and truck. 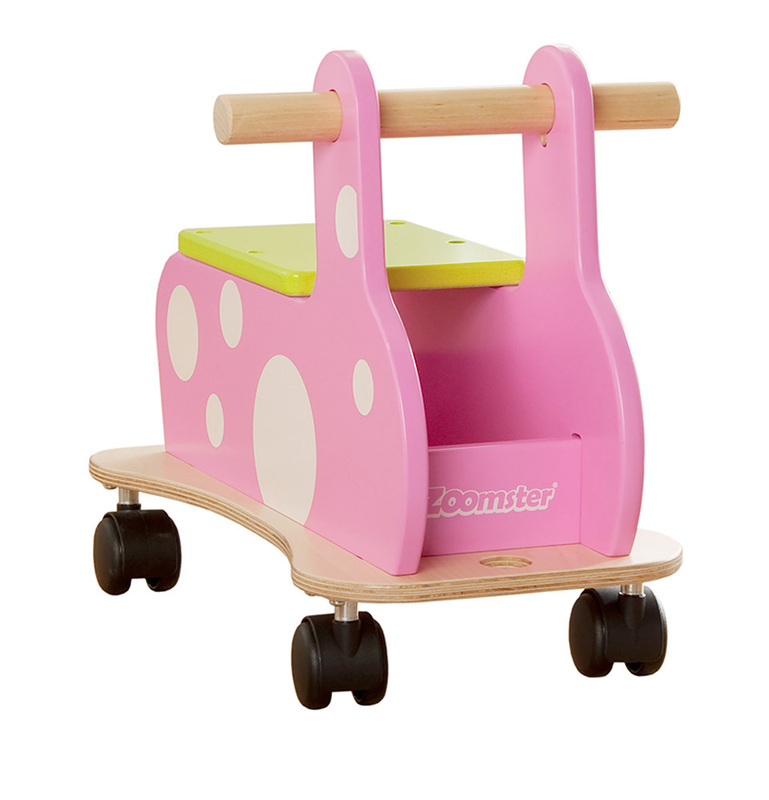 The Zoomster is sold flat packed and can be assembled quickly and easily. 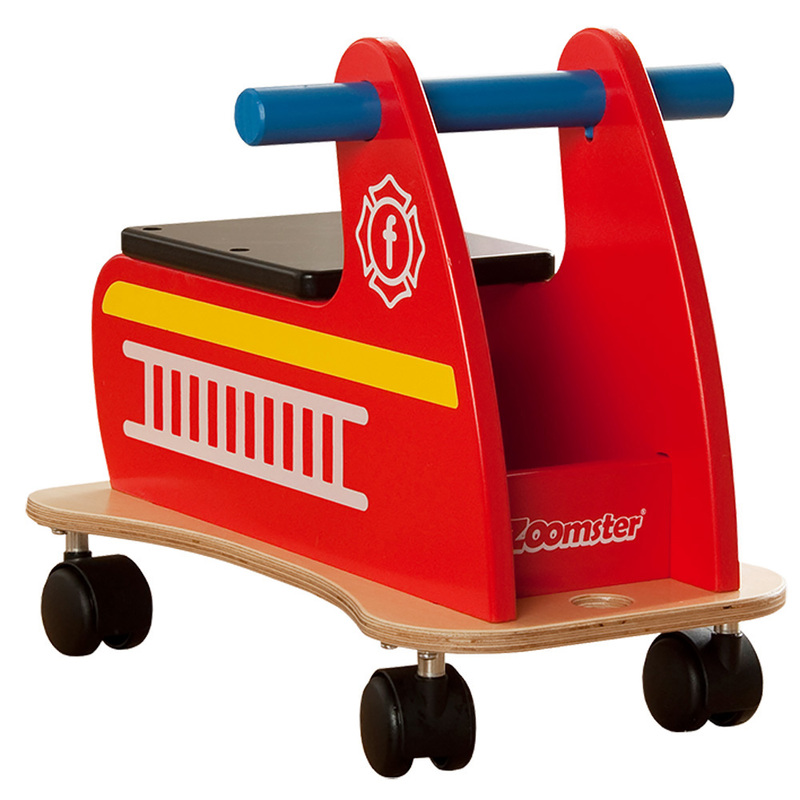 Please note: The toys and books featured in the product images are not included with the Zoomster, please Contact Us or alternatively call for more details on 01733 511121. 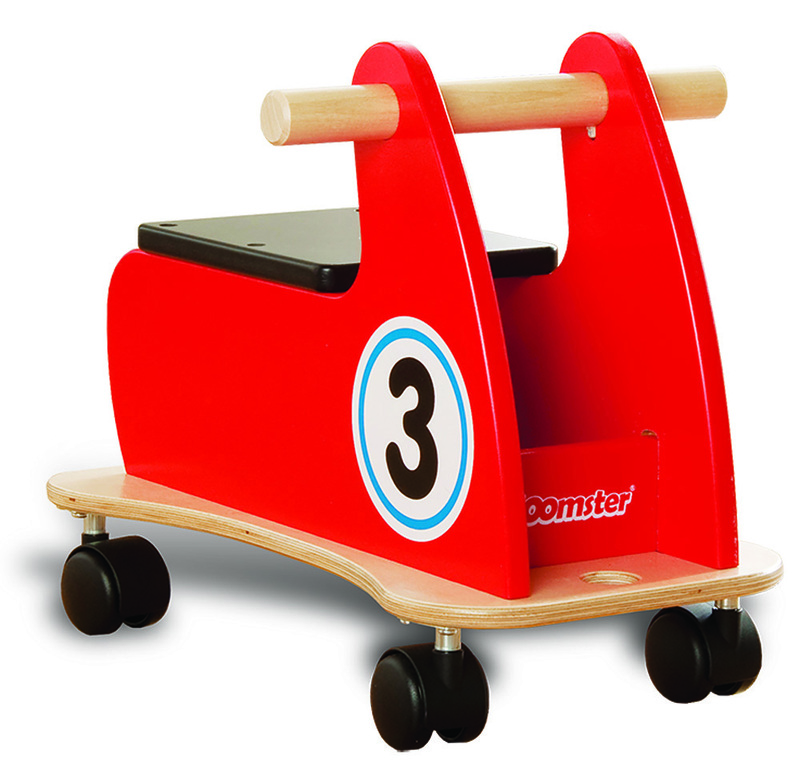 View our extensive range of Physical Play equipment.